How Do You Spell Divorce? A casting call used the word "thy" when they meant "thigh." Another notice used the phrase "age rage" instead of "age range." That simple typo made me picture someone fuming over a birthday cake. You meant to say "accepting," because if you except them, then you're leaving them out and thus no kids will show up to your auditions. If your into wearing the smallest string thing and very exposed, submit your photo. Are you a ghost rider? Did you used to be? A popular TV show going into its fourth season is looking for a ghost riding expert to give an on-camera interview. What drives people to ghost ride? What are the risks? Let us know! We of course have a certain Johnny Cash song stuck in our head, which we offer up as your blurry but free Friday entertainment. We do think perhaps they are looking for ghost writers--and for their ads, ghost copy editors. Jim F. sends this photo along from the Los Altos City Council meeting. 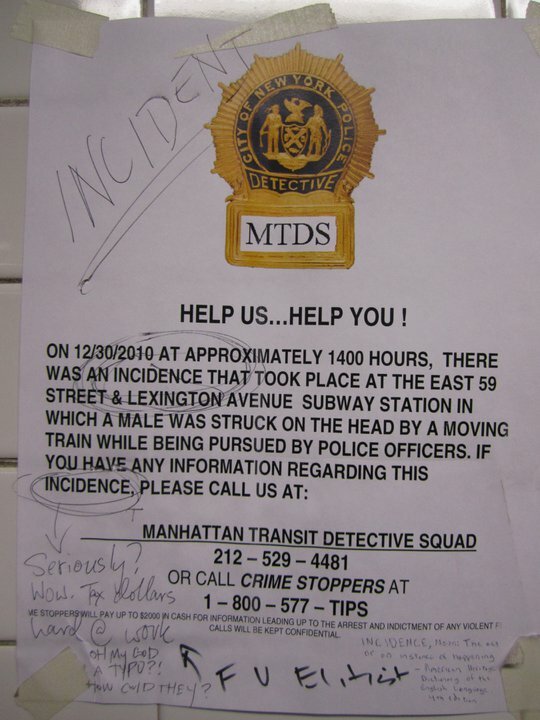 While "uniformed crime report" makes it sound a bit like evil deeds committed by men and women in uniform, it's a typo. They meant "uniform" crime report. As typos go, it could have been worse. Or from where we sit, better. We'd definitely like to have heard about "unformed" crimes--you know, those half-baked plots where someone in a Nixon mask decides to rob a convenience store and leaves his wallet behind, and the getaway driver forgets to put gas in the tank so they run out just as they're speeding past the police station? Yeah. That kind. Maybe next time. 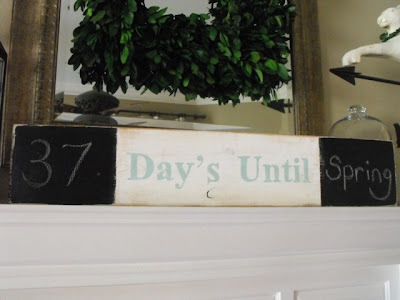 Symptom: the unnecessary apostrophe in "days." Oh, you crazy crafters. When will you ever learn (and thanks to Tamara for the find). Meanwhile, there's less than a month until National Grammar Day. What will you do to celebrate on March 4? In emergancy situations only, please call +44 (0) 845 543 6681. Calls from uk landlines costs no more than 4.5 pence per minute. It reminded us of a photo from the New York subway we've been meaning to post. Grammar vigilantes have taken the matter into their own angry, angry hands. Meanwhile, the linguists are fighting back. Do you ever wonder, by the way, the difference between England, Britain, and the U.K.? Wonder no more.